The storm lasted about 45 minutes today. 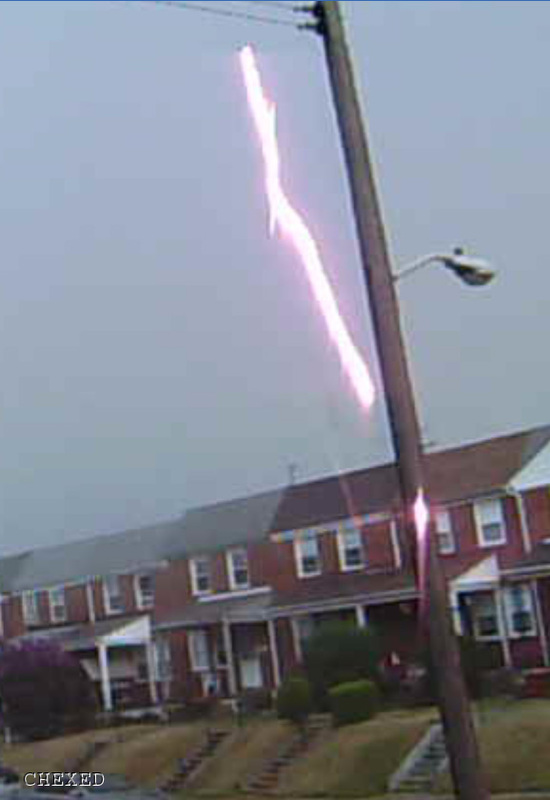 Here we have video footage shot from Dundalk, Maryland showing exactly how the storm went. This video filmed by Dawn Rader below shows the storm shortly after it started. You'll see lighting strikes, heavy rains, and a medium size piece of hail picked up in the video compared to what was landing out in the street. You'll hear all of the fun stuff too. After a close lightning strike swayed us to go inside (picture of lightning posted with this article), the wind started blowing in multiple directions and the rain became misty and as thick as fog can be. Here after the end of the storm you can see the sun has come out with rain still coming down. You can see it pouring down the gutters almost as much as it was during the storm. Hosted by HostNine This page was created in 0.00380897521973 seconds.